A micro hidden close to The Moravian Church. 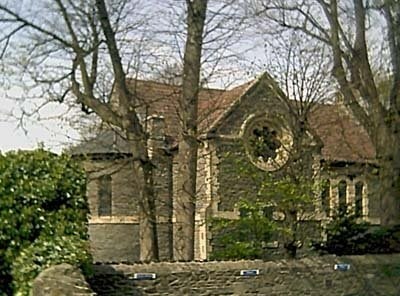 It is located at the entrance to a road leading to the church itself and a car park for the nearby bank. The cache has been hidden and can be retrieved WITHOUT any need to pass the gates. This is a busy area, especially when the nearby shops are open, so please use stealth to retrieve and replace cache. The building: This Moravian church building dates from 1868 and was designed by Foster and Wood along with some unusual chapels in the Bristol area. The church is in a Germanic Romanesque style with a wooden porch and has transepts and an apse. The interior has thin steep gothic ceilings and a lovely organ. Across the road stands the extremely derelict gothic Whitefield tabernacle whose congregation joined the Moravians in the 80s. The church: The Moravians have a handful of churches in the west. There was a Moravian church in central Bristol but this was demolished in the 1960s. The Moravian church here was built in 1868, and in the 1980s the local URC church joined them. The neighbourhood: This was the area of coal mining evangelised by George Whitefield and is made up of thousands of tiny miners cottages and chapels. Most of the chapels have now gone but some remain. This cache has gone missing a couple of times so please replace carefully, ensuring it is not visible from passers by.